The college major: What is it and how to choose one? 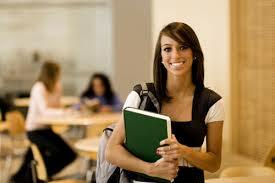 A major is a subject area where students will specialize in. In a course at least one third or one half of the subjects will be related to your major. On the other hand some colleges give you the option of majoring in 2 fields. Colleges that offer courses for 4 years will ask you to pick a major at the end of the sophomore year. Therefore students have ample time to look at subjects they think might interest them. On the other hand, if you are embarking on a 2 year degree, you will have to select your majors at the start of the program. To choose your major, start by taking a few short courses in the areas that interest you. It is good to look at courses that you are confident in as well as areas you think you may excel. If you decide that your major is not one that you can see a career in, you can always switch your major during your programme. To get a better understanding of what majors are best for you, it is best to speak to a student advisor. Student advisors can give you an entire list of majors and the list of subjects under each area of study. Once you have met a student advisor and selected your major, choose the subjects you feel that will help you learn the most in your selected field.